This Patent Application received a Final Rejection by the US Patent Office! The rejection was based in part on prior art found by Ask Patents community below! Thanks to YOU, the Ask Patents community, overly-broad claims have at least been narrowed. AN OVERBROAD PATENT ON tracking and managing group expenditures - This application from Google seeks to patent the idea of...dividing expenses among members of a group! 10 minutes of your time can help narrow US patent applications before they become patents. Follow @askpatents on twitter to help. Originally filed by Google on March 30, 2012, made public Oct 3, 2013. Prior Art Date: Seeking Prior Art predating March 30, 2012. Receiving information about a payment transaction involving the group that occurs within a range of dates provided for by the group. Settling the total balance by initiating fund transfers between the users of the group. This Patent Application received a Final Rejection by the US Patent Office! The rejection was based in part on prior art found by Ask Patents community in this answer! I cover all the pieces of Claim 1, as well as some of the other claims. You might want to make sure to refer to the amended version, which I just linked to, and you can also find on "Public Pair" of the USPTO by searching this publication number. Bullets 1&2: Establish at least a group of three users sharing a total balance in a group, with a list of transactions and payments, and have the list of transactions and total balance list be reactive to payment transactions added by group members. Bullet 6: Fund transfer was done by Billmonk/Obopay and PayDivvy prior to 2012. Billmonk, Jan 2007: TechCrunch describes online settlement as the point of the acquisition. PayDivvy, May 2011: VentureBeat Describes bank settlement. 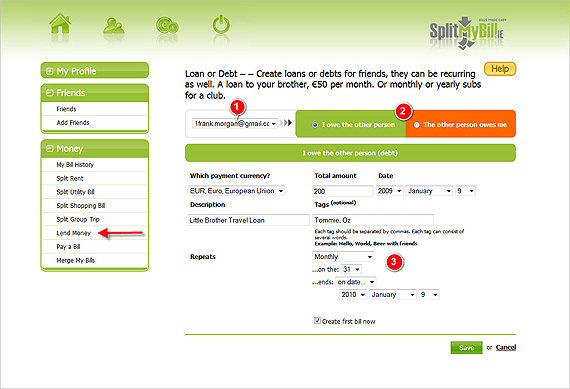 Bullet 3: Using a range of dates was used for recurring expenses in SplitMyBill.ie, and done in a couple ways at Splitwise prior to 2012. Splitwise, Mar 5th 2012: Splitwise Blog. Splitwise uses a date range to sort balances into monthly totals within each group. Splitwise, Dec 2011: Forbes / Splitwise Blog. 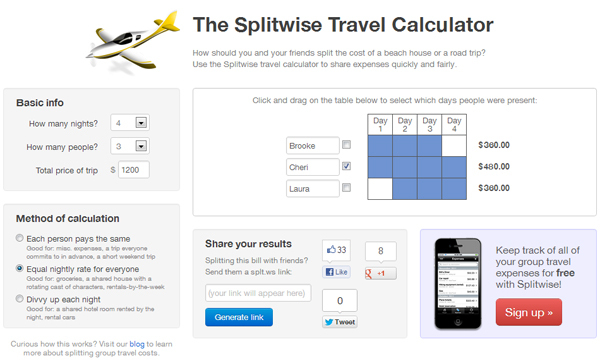 Splitwise publishes a calculator that uses a range of dates to tell how a given expense should be divided among which members of a group. Looking at the patent as amended*, we should also look at Claims 2, 6, and 10. Claims 11-25 are basically variations on a theme, with the phrases "computer software" exchanged with "method" or "system" or the idea of "additional users" added to the other claims. The idea of an "additional user" (doing something as part of an invitation, does this mean?) being able to do things was a feature in BillMonk, SplitMyBill.ie, Splitwise, and others, and combining that with other features is probably fairly obvious to someone skilled in the art. Claim 2 brings in the idea of "individual balances", as distinct from "total balances," which could mean non-total balances as shown in Figure 4. But Billmonk pioneered the idea that you could track both individual and total balances within the group and reduce it to a total balance at the users discretion. Claim 1 + "inquiring from the additional user whether to add the additional payment transaction to the record", "responsive to a user device", and "electronic system of a financial account". This was all done by PayDivvy. In the screenshot below, you can see the connections to real bank accounts, from a user device (a laptop), with a permission based system for new bills. PayDivvy, Sept 2011: Finovate/ApartmentTherapy. See the "Pay or Decline" options in the screenshot. Claim 1 + "settlement event is at least one of the following: an end date being reached, a user of the group requested settlement, and a total balance reaching a set amount." Balance-based: May be the only claim in the patent that is not built in a pre-existing product, though someone may have described it in a press article or interview. Billmonk was the first to widely publicize the simplification of a set of "X owes Y" into its simplest form, but the feature is also in Splitwise, Billsup, and many other apps. Look at this image from the Billmonk Blog in August 2007 and compare it to the official Figure 4.
http://kittysplit.com does exactly what the patent describes and has been online as a webapp since January 2012. Short Reckonings. www.shortreckonings.com. I've been using them since at least summer 2010. Google has basically described exactly the function that SR performs. You go somewhere with a group of friends. You pay for bills as they come up, and later you punch the bills into SR, and it figures out who owes what to who. Even for uneven splits. Google's late to the party. List of three dated January 1, 2012. One dated October 3, 2011. A list of several dated August 29, 2008. I also found this patent for point-of-sale software (as I read it) to split a bill, filed December 22, 2010. The first line is the information header, the second line is the current balance header Each subsequent line represents an item with amounts and running totals. The first four columns are user-editable. The columns with running totals are automatically calculated based on the data in the first four columns. In the example below, "McKay" paid 600, and each of four individuals used said items split equally. 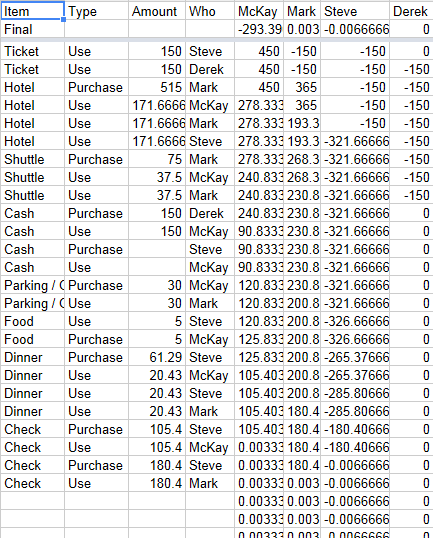 Then Mark paid 497 dollars split equally between McKay and Mark. The system knows who is owed what (but it doesn't matter to who). 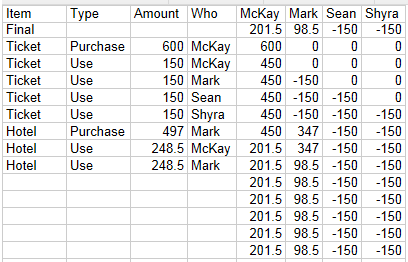 Shyra needs to pay 150, Sean needs to pay 150, and McKay and Mark are each owed different amounts. This is made available to everyone in the group. From any of their devices compatible with google's services. I use code like this every time I go on a group trip, and because it took 45 minutes to write, I considered it obvious, and non-patentable. By the end of the trip, it looked like this: As you can see, Sean and Shyra didn't end up going, and Mark and Steve took their place. Cash and Check lines indicate when one person paid another (as indicated) to clear out their balances after the trip was over. I wrote a Palm app for this, "DinnerDebt," in 2005. Its web page and executable are still online at http://www.midwinter.com/palm and its age can be verified on archive.org. 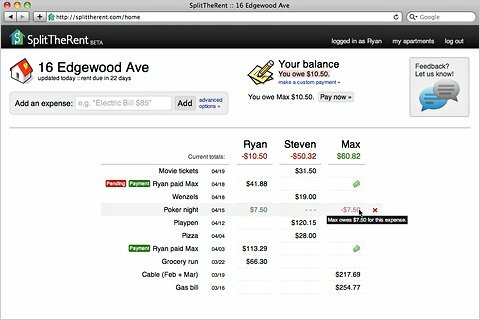 Then I wrote a version for webOS, also called "DinnerDebt," in 2009; source code at https://github.com/koreth/DinnerDebt . BillPin is another software that does the same and is also available as an Android App. Not the answer you're looking for? Browse other questions tagged prior-art-request pre-grant rejected google us20130262294 or ask your own question.